As part of Surrey Hills Community Radio 2nd Birthday celebrations we have been inviting local people to share their success stories. 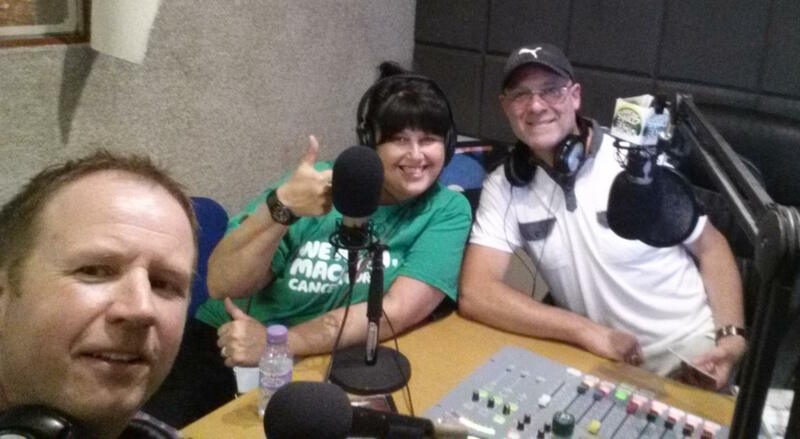 On Thursday 9 June Cheese + Chat were joined by Linda Williamson who bravely marched across Hadrian’s Wall for Macmillan Cancer. Linda admited that she did not get off to a great start as she fell out a door a week before and sprained ankle! She completed the 84 mile trip in 4 days with 22 colleagues plus 3 support team. Linda commented that they averaged walking a marathon every day, starting at the amazing coastline in Cumbria, continuing inland to find the wall and up and down the whole way across. Chris and Terry [Cheese + Chat hosts] celebrated her success by playing her favourite tracks on air for her and her friends.